Well, first things first: take a look at our front page for the list of Top Ten Grow Lights for this year. I constantly try out new LED lamps just so I get a real feel for what’s out there on the market. Buy hey I’m not here to sell you on any single brand, right now what I want to talk about is what you should look for before you put in any $$. You always want to look for chips that are at least 3W, any less than that won’t give your plants enough consistent light coverage. This means each chip needs to be 3W, not 3 lights of 1W LEDS, so look out for that when reading the description. The 3W chip offers the best quality in whites, blues and reds. This is also important; you want to read product descriptions for total output. How many units does the lamp claim to have? This can be 300W, 400, 600 or even 1000. Always check for the output and look for at least 300W. Understand that when it comes to LEDs you can’t always get 100% power so you usually end up with slightly less wattage than what the recommended is, and chips will always burn out, no matter what the quality, so the higher a wattage the more you can compensate for wattage loss. 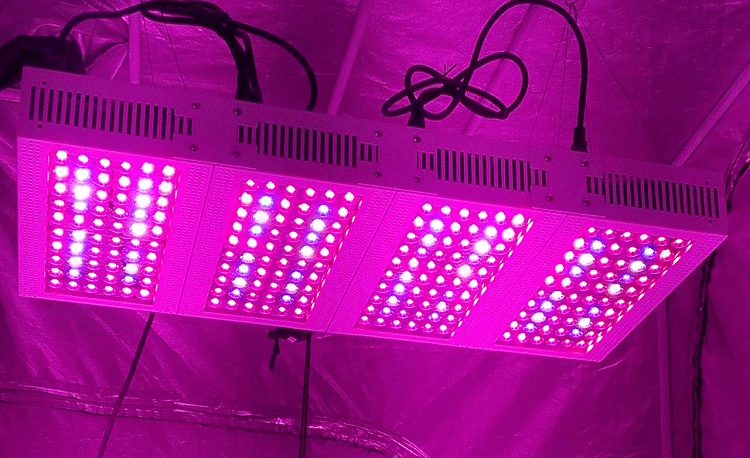 Best LED Grow Light Ever!!! Day 9, One Marijuana Plant LED Grow using The best LED Lights for growing indoors.